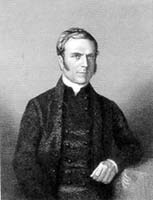 George Washington Walker (1800–59), missionary and businessman, was an English Quaker who in 1828 answered a call from James Backhouse to be his secretary-companion on a mission to the Australian colonies. The following nine years of intimate association proved an equal commitment. Despite uncertain health, often travelling in rough terrain and weather through Tasmania and mainland Australia, the pair left 'wholesome impressions of their sincerity, good sense and goodness'. Walker returned to Hobart to marry Sarah Benson Mather; their home, Narryna, is now a heritage museum. Walker's Quakerly concerns included education and temperance. In his drapery shop he opened a savings bank to encourage people to deposit money rather than spend it on alcohol. He set a pattern of Christian citizenship acknowledged by many, including those in vice-regal circles. Further reading: ADB 1; W Oats, Backhouse and Walker, Hobart, 1981; S Given, 'Friendly contributors', 40° South 23, 2001.